Wizards now offer Vapor Steam cleaning that can be booked as a separate service or added on to a cleaning appointment. Your rate would be $200 and it includes about 3-4 hours of vacuuming and steaming your rugs, mattresses, couches, toys, drapery etc. What is Vapor steam anyway? 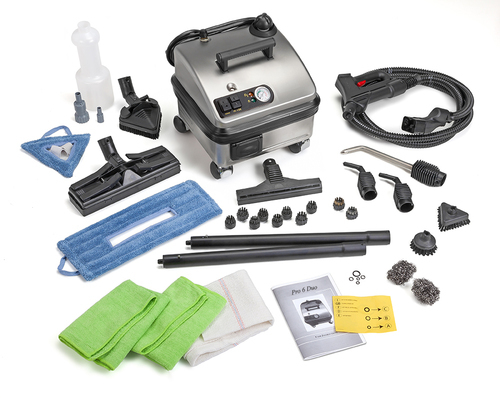 Vapor steam cleaners are cleaning appliances that use steam to quickly dry, clean, and sanitize. Often the process is effective enough to disinfect or even sterilize. The steam is produced in a boiler that heats tap water to high temperatures (240-310F) to produce low-pressure, low moisture (4 to 6% water) water vapor (steam). The steam’s ability to clean is based primarily on its heat. The steam is applied to cleanable surfaces via a variety of insulated tools and accessories, thereby safely providing the energy needed to break soil bonds and release contaminants. Vapor steam cleaners are known as a form of green cleaning since they do not require the use of chemical cleaning solutions. Steam vapor has also been cited as effective in killing dust mites in carpet, bedding, and upholstery. Additionally, dry steam vapor has shown to be effective for killing bed bugs and their eggs when reaching temperatures of 150-170 degrees (although, keep in mind that Wizard of Homes does not work with bed bugs). We would also recommend adding the steam clean session to your move-in clean to get rid of all possible allergens that the last tenants left behind. Vapor steam cleaners are frequently used in hypoallergenic environments because they do not require the use of additional cleaning chemicals, which results in better indoor air quality. Steam has been shown effective in combating mold, bacteria, viruses, and other forms of bio-contamination. Previous Duvet Cover: what and why?